Hotel check-out by noon, flight at 4:30, Cathay Pacific in-town baggage check-in up to 24 hours before flight, half hour train ride from city to airport. First things first: deal with packing. Ugh. 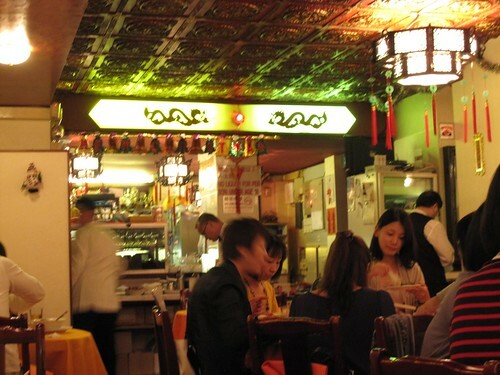 With everything zipped up, there was time for an hour of walking around so I returned to Soho and Lan Kwai Fong. I found a shop called Hulu on awkward Glenealy Street selling modern fashions made from traditional print fabrics. I bought an unusual scarf which I will show off later. Also in the neighbourhood, and worth a peek I was told, is the Duddell Street Starbucks. Starbuckses the world over are more or less the same (there are a few regional menu variations, granted) but this particular one is the "bing sutt Starbucks". In cooperation with the G.O.D. 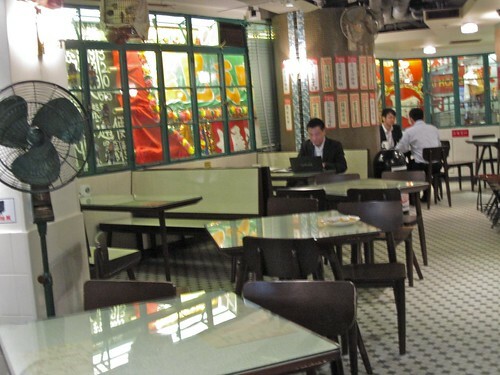 design brand, this branch of SB is done in 1950s Hong Kong coffee shop style ("bing sutt"). 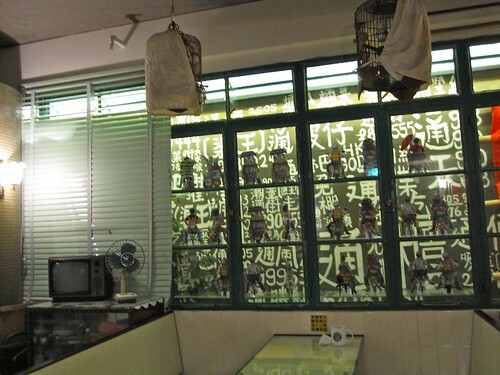 Laminate tables with paper menus beneath the glass, bird cages dangling from the ceiling, vintage light switches and fans, rows of tin toys on shelves, egg tarts and pineapple buns for sale... It was a fun concept, I suppose, but the atmosphere was was still just standard Starbucks. 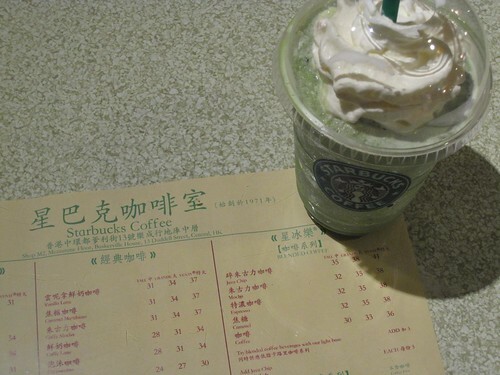 I had a green tea frapp. Next on the agenda: relieve myself of my luggage! 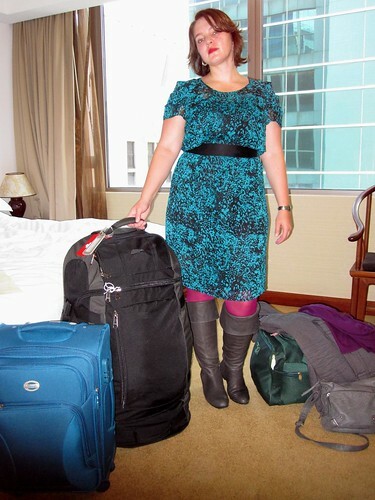 The in-town baggage check at Hong Kong Station was so simple to use. I also ditched my carry-on case and jacket at left luggage so that I was completely unencumbered for my last few hours. 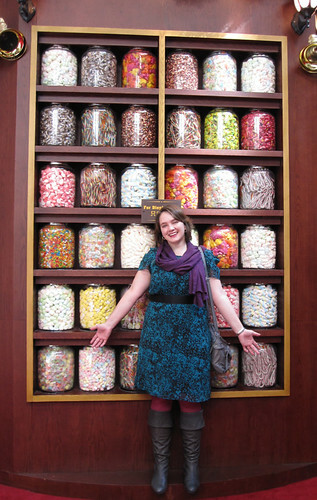 You can see that I was feeling totally free and happy, posing in front of a candy display at ifc Mall. This was an unusual mood for me because getting myself to airports on time always stresses me out very much. Again, things are just easier in Hong Kong! It was back to Causeway Bay. 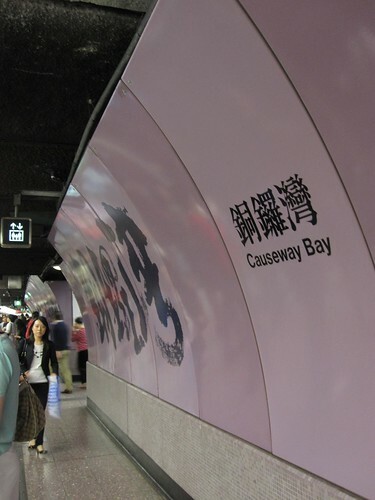 I really like the big calligraphic representations of all the MTR station names. 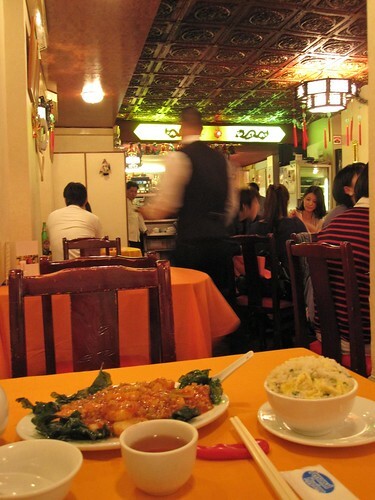 Perhaps inspired by the faux bing sutt that morning, I chose Red Pepper on Lan Fong Road for my last Hong Kong meal. 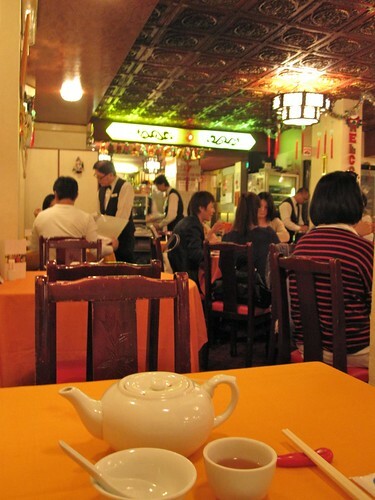 The feel of the place matches my concept of vintage HK with its decor of dragons and lanterns and the sizzling Sichuan dishes served by bow-tie wearing waiters. I ordered the garlic chili scallops. Alas, the dish was far too much for one person - it was such a sad thing to see scallops go to waste. 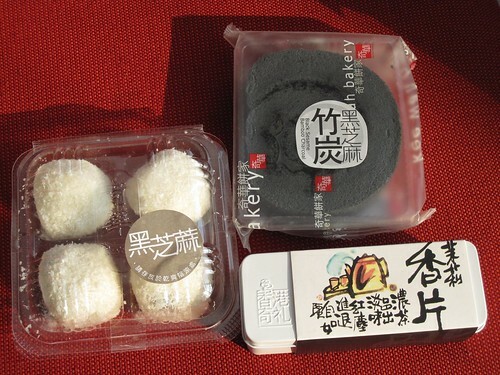 Also in Causeway Bay, I grabbed some snacks from Kee Wah Bakery for the 15 hour flight to come: black sesame mochi, black sesame and bamboo charcoal (!) rolled cake plus a pretty little tin of jasmine tea for when I reached home. Actually, all these snacks made it back to Canada in the end thanks to that filling scallop lunch. Now, it was time to retrieve my carry-on and catch the Airport Express train. I felt like I had done so much in my 96 hours in Hong Kong but in reality, I had only seen a few select areas of the city. 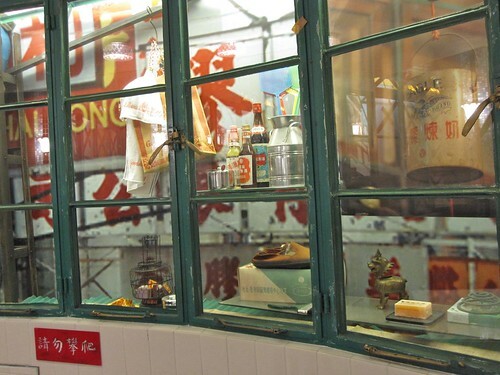 I had really wanted to see the teaware museum while in HK, to have a dim sum feast and to see several more places of note, but it didn't happen. The good thing is, I have no doubt I'll get to Hong Kong another time. Unlike some other places, I don't see the city as a once-in-a-lifetime destination but as a place I can easily return to as long as I'm travelling. Thanks for sticking it out for these HK posts. They certainly don't represent my best writing - a simple, chronological account was the best way for me to describe several very busy days of pure sight-seeing.